The analysis indicates that the author of http://egoist.blogspot.com is of the type: ISTP - The Mechanics. Shopping on Black Friday & Cyber Monday. Future chile pepper challenge at a restaurant in New York City. Wine tasting with four different wines from the U.S.A. Forthcoming piece at Open Forum on why America is a great place for doing business. Upcoming podcast interview with Jonathan Hoenig at SolidVox. I need to follow Nozbe's 10 steps to productivity. First I have to clear my desk and "clear" my head. I will take some time this Thanksgiving weekend to go through paper stuff. I have promised myself to get a fresh start in 2009, cleaning out my email inbox, sort my papers by setting up the "right buckets" and then stick to a "getting things done" system. I got inspired by quickly browse through the first issue (November) of the Productive! Magazine. I have to check if I could start to synchronize my mobile phone with my computer and then doing a test with a web-based productivity system called Nozbe and add it to the email program and Netvibes start page. Mashable has compiled a list of 40 great resources for making lists. I have ordered the book, The Now Habit: A Strategic Program for Overcoming Procrastination and Enjoying Guilt-Free Play . Now I understand why a central part of Gothenburg city had been blocked for regular traffic on Saturday afternoon... From Peter Vinthagen Simpson's article, Bill Gates in Sweden for high society wedding. The weekend will not be all champagne and canapés for the Microsoft billionaire as he has been appointed as one of the ushers for the service which will begin at 2pm on Saturday. With security tight, Gates, the happy couple and the other key figures in the ceremony were taken through their paces for the rehearsal on Friday afternoon. Simonyi and Swedish socialite Lisa Persdotter were engaged on 08/08/08 in the romantic setting of St.Tropez in the south of France. Simonyi, likes Gates, is an active philanthropist and is known as something of a jetset billionaire. His jetset lifestyle has not only been limited to the planet Earth and he caught the headlines last year when he spent 13 days in outer space on a trip that set him back a modest $25 million. He is preparing for his second trip into space, in 2009, that will make him the first tourist to make a second journey into the great beyond. Recommended reading: Leanne Bell's site, And they lived happily ever after... and Allan Wills's new site, AreYouMyPartner.com. How about ending this post with a catchy tune? Lance Moore of DoubleLight sent me an email about a music contest. Listen to A Hollywood Ending and Old-Fashioned and then vote! After Larry Genkin's comment on my post, BLOGOSPHERE VERSUS MSM, I had to check out the Blogger & Podcaster Media Network. Here is an excerpt from Jason Kincaid's article, Blogger And Podcaster Media Network Looks To Turn Long Tail Blogging Into A Full-Time Job. Larry Genkin, the founder and editor of Blogger and Podcaster Magazine, is looking to help the long tail of bloggers turn their hobby into a lucrative job. He has started the Blogger and Podcaster Media Network, a consortium of bloggers and related companies looking to help bloggers of all sizes effectively monetize their sites without having to worry about having a relatively small audience. The site is currently open for signups, but won't go live until early next year. At launch the BPMN is a rollup of companies including Genkin's magazine, Fuel My Blog (A bloggers' social network based in the UK), Podcast Pickle (a podcasters' social network), and SocialRank, a company similar to Sphere that monitors blogs for related and popular content. For more on The Long Tail, read Larry Genkin's post, The Must Know Business Principle of The Digital Age and his article, Power (and a Six Figure Salary) to the Blogosphere's "Little Guys". I have signed up for a free membership to the Blogger & Podcaster Media Network. You are welcome to write my name in the "referred by" field, if you sign up too. I said in July that my podcasting show would start again in September. I am waiting for further updates on the situation from Prodos. I intend to keep my radio station on BlogTalkRadio, as a test laboratory, but I am not sure how much time I will spend on it. The same goes for my channel on LiveVideo. I haven't had a show yet and I am not sure if I will use this platform in the future. I will check out Ustream.tv and see if this site could be my future live video broadcasting home. I want to create a new start and home page in the near future. I am planning to set up a new site end of this year or beginning of 2009. I am pleased with my Martin.Lindeskog.name domain name, but as the situation is now I think I will change from PageFlakes to some other site tool. I don't think it was so clever move to add advertising on all the pages without informing the users. The company has removed the ads, but the incidence got me thinking of making a change. Here is an excerpt from Phil Bradley's post, Pageflakes removes advertising. I will continue to develop a network hub and market(ing) place for my different business areas, e.g., home based business opportunities, direct selling products, consulting services, freelance stuff as an international project coordinator, etc. Please send me tips on web site creation and management tools and web hosting providers including domain name registration services. I want to be able to integrate widgets and social networking tools on the site and to set up a landing page and forms for site visitors to fill in. I will use this feature for my future e-pamphlet. I found several tools under the "creating websites" category on Phil Bradley's "I want to" page. I will test Edicy, SynthaSite and Webnode. Related: My post, MARTIN LINDESKOG PORTAL. What is your take on the article, Oh, grow up, in The Economist? The author states the following: "Blogging is no longer what it was, because it has entered the mainstream." The rest of the world may well have missed the unfolding of his tragedy. Behind it, however, is a bigger trend. Blogging has entered the mainstream, which—as with every new medium in history—looks to its pioneers suspiciously like death. To the earliest practitioners, over a decade ago, blogging was the regular posting of text updates, and later photos and videos, about themselves and their thoughts to a few friends and family members. Today lots of internet users do this, only they may not think of it as blogging. Instead, they update their profile pages on Facebook, MySpace or other social networks. They may also “micro-blog” on services such as Twitter, which recreate the raw, immediate and intimate feel of early blogs. Twitter messages, usually sent from mobile phones, are fewer than 140 characters long and answer the question “What are you doing?” Tellingly, Evan Williams, the co-founder of Blogger—an early blogging service that is now owned by Google, the Wal-Mart of the internet—now runs Twitter, which he regards as the future. Check out Carnival of the Cats #244! Meow or mjau as the cats say in Sweden. It’s the Carnival of the Cats! It’s fun! It’s free! And it’s fur kitties only! SEC Guns For Billionaire Mark Cuban - Forbes. What’s Mamma.com? - Wall Street Journal. Insider Trading: What Did Mark Cuban Do? - U.S. News & World Report. Send your comments to Mark Cuban of Blog Maverick. Listen to Yaron Brook (Should Insider Trading Be Legal?) on The Peter Mac Show. Washington, D.C.—Billionaire Mark Cuban is under investigation for “insider trading” by the SEC. “This case is a travesty,” said Alex Epstein, an analyst at the Ayn Rand Center for Individual Rights. “Cuban is accused of selling his stock in Mamma.com after the CEO told Cuban that the company would be making a new stock offering that Cuban thought was a bad idea. But there is nothing wrong with this whatsoever—unless Cuban had a contractual obligation or fiduciary duty not to act on the information. And if Cuban violated a contract, which there is no evidence of, then that is the injured party’s—the company’s—job to pursue, not the SEC’s. In all likelihood, if there is anyone who violated a contractual obligation, it is the CEO who divulged confidential, unsolicited information—not the famous billionaire recipient who just happens to make a juicy target for SEC bureaucrats thirsting for another high-profile case to justify their regulatory power. 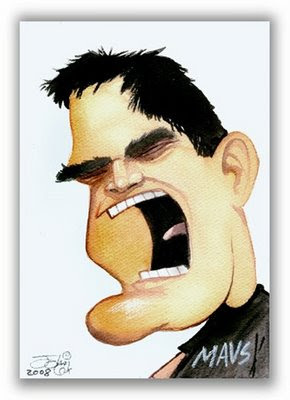 Mark Cuban by John Cox. I have created an account at Australian Wine Club. Here is an excerpt from Mark Majzner's article, Swedes and wine - an awkward romance. To understand the peculiar nature of Swedes’ relationship with alcohol is a difficult task that requires a knowledge of Swedish social history going back several hundred years. However, for over 50 years, the government monopoly on the sale of alcohol has been the main weapon to mitigate the prevalence and effects of alcoholism. Pour a glass of wine and read Mark Majzner's Wine Freedom Weblog ("Vinfrihet" in Swedish). Here is the first batch of photos by Morris the cat photographer. 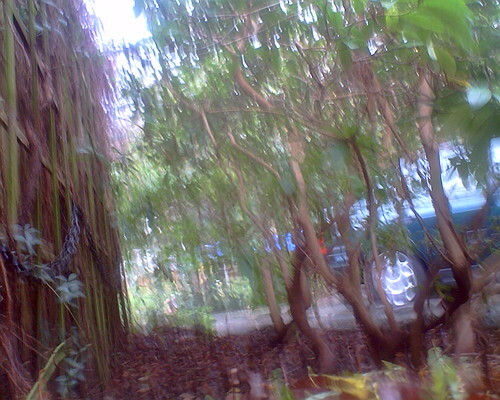 He took about 30 pictures with the camera. I have uploaded five photos at Flickr. I will ask Morris if he wants to take snapshots on a regular basis. The next step is to track his route by a GPS device. Here is an excerpt from Chris Radcliff's article, Mr. Lee, the Three-Eyed Cat. I have created a profile at a "credit-driven intelligence engine" called Cassia. I found out about this site via an Entrecard advertiser. Hat tip to: Cindy King, cross-cultural marketer and international sales specialist. Morris the cat didn't like to wear the pet harness, so we have to wait with the GPS tracking system for now. He has to get used to this new kind of collar. Instead I attached the Mr. Lee cat cam to his regular collar. He started to bite on it and then he went to a chair in order to relax a bit after this traumatic incident... Here is the photo evidence! Next time I hope to get some outdoor pictures and later on we will add the GPS tracking device. I have now installed my Logitech QuickCam Pro 9000 and created a new Talk Fusion video email message. Please send me an email to "Lyceum AT gmail DOT com" and we could start using Gmail voice and video chat. I will start to add videos to LiveVideo and also test to broadcast a liveshow as a compliment to my forthcoming new series of podcasting interviews. RadioAmerica’s G. Gordon Liddy is devoting a special broadcast of his nationally syndicated three-hour talk radio show to Ayn Rand, her philosophy, and understanding the current state of events through the lens of Objectivism. Although flights to America from Skavsta are unlikely to be seen within the next two years, O'Leary promises vast savings once they do arrive, with economy cabin seats starting from €10 one-way. Ryanair's plans for Europe to USA budget flights first came to light at a conference in Düsseldorf in June of this year. A controversial video clip from the conference, in which Ryanair talked up new services for business class travelers, was later leaked onto You Tube. Related: My post, RYANAIR FLIGHTS TO AMERICA. I have added a GTD (Getting Things Done) widget by Alltop. I have added a feed by Randex with "the latest news and commentary on Ayn Rand and Objectivism." War And Liberty In American History by Wesley Allen Riddle. What We Owe Our Soldiers by Alex Epstein. I have been thinking on my future writing. I will continue to write my blog posts in a pundit style, mixed up with lighter entries, e.g., tracking Morris the cat, and coming up with good life stuff. I will try to follow some kind of weekly schedule, but now and then I will take a break from my EGO blog, concentrating on other assignments, for example writing pieces for other sites and preparing interviews for my podcasting show. 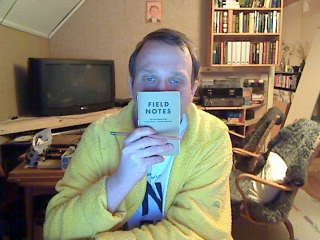 I want to get into the right flow and start to microblog on a regular basis. Do you have tips on literature on writing skills? Here is an excerpt from The Art of Nonfiction by Ayn Rand. The book is edited by Robert Mayhew. Recommended reading: Gus Van Horn Turns Three! I had my "nameday" yesterday. I have been thinking on how to spread the celebration of name days for a long time. I am interested in getting in touch with entrepreneurs who want to pluck the day and declare: Carpe Diem! WILL YOU BE A LEADER? I have a new piece published on Open Forum. I am thinking of writing an e-pamphlet on leadership based on the trader principle sometime in the future. Here is an excerpt from Robert Tracinski's article, Joe the Plumber and Ayn the Philosopher: The Road Back for the Right. This is true of the American common man in general. Even when he is not (yet) successful, he thinks of himself as a potential success, as someone who is ambitious and hardworking and on the road to achievement. For him, self-reliance and success is the norm. The sign-off to Cory Miller's letter says it all; he describes himself as "just an ordinary, extraordinary American, the way most Americans used to be." Success and achievement-which Obama views as some kind of extraordinary luck-is viewed by these men as an ordinary product of hard work and dedication. Do you have more examples of extraordinary Americans? It is time to "mapping" out the results and running the numbers regarding the election. Related: My post, WHAT KIND OF AMERICAN ENGLISH DO YOU SPEAK? Talking about maps, I have added a guestbook with a map and photo slideshow feature on my personal ("bulletin board") web site. It is powered by Slide.com. It could be that I start using the Frappr! guest map mash-up again. I have a new post on Open Forum. The piece is titled, Contrarian View Versus Mainstream Opinion, and it is covering business magazine covers as a contrarian indicator for making investing decisions, Alan Greenspan's "shocking" statement and a real defense of speculators on the financial market, and a golden book tip. Please feel free to spread the good word and submit a "yes" vote if you find the post useful. You are of course welcome to write a comment. Are you in a voting dilemma? Check out the election edition at The Rule of Reason. Both presidential candidates are talking against individualism. McCain is putting "country first" and Obama is explicitly attacking selfishness. Here is an excerpt from Alexandra Marks's article, Sacrifice theme returns to US politics. Both McCain and Obama cite the need for selflessness and service. I recommend you listen to Dr. Leonard Peikoff's podcasting show of October 20 and his answer to the question regarding the election and watch Marina "Hot For Words" discussing the origins of some political words on the O'Reilly Factor show. Related: My post, MTV CHOOSE AND LOSE ON MYSPACE. I have added a batch of blogs I follow to my Blogger profile page.